A used SUV like a VW Tiguan offers lots of convenient space and features in a safe SUV that’s a little more affordable. So, what can a used SUV do for drivers in Toms River, Brick, and Freehold? Toms River Volkswagen finds out with this used Volkswagen Tiguan review. Contact us today to get started! With room for up to seven people, a used Volkswagen Tiguan is a great option for families. It’s available with either two rows of seats or three. In either model you’ll have plenty of space to get comfortable and make space for lots of cargo. Inside the two-row model, you’ll have seating for up to five and slightly more trunk space. Both models feature folding seats. The 2nd-row 40/20/40 set up is especially convenient since it gives you more options to configure your passengers and cargo. Once you’re all packed up, a used Volkswagen Tiguan will bring you some peace of mind with lots of safety features. You’ll be protected by six standard airbags, including Side Curtain Protection® head airbags that cover every row of seats. If you’ll be driving smaller children around, you can rest easy knowing that they’ll be strapped in safely. There are available Lower Anchors and Tethers for CHildren in the back seat (LATCH). All this rests inside a strong, steel safety cage that was built with crumple zones to better absorb and redirect force during an accident. 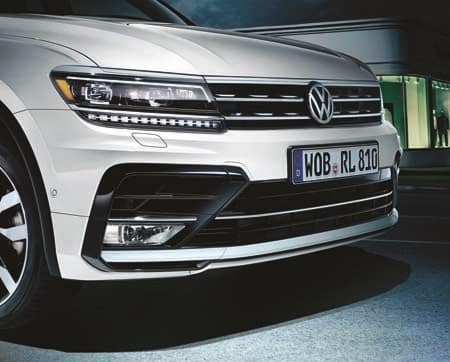 Together, these features and this design have made the VW Tiguan an IIHS 2018 TOP SAFETY PICK. 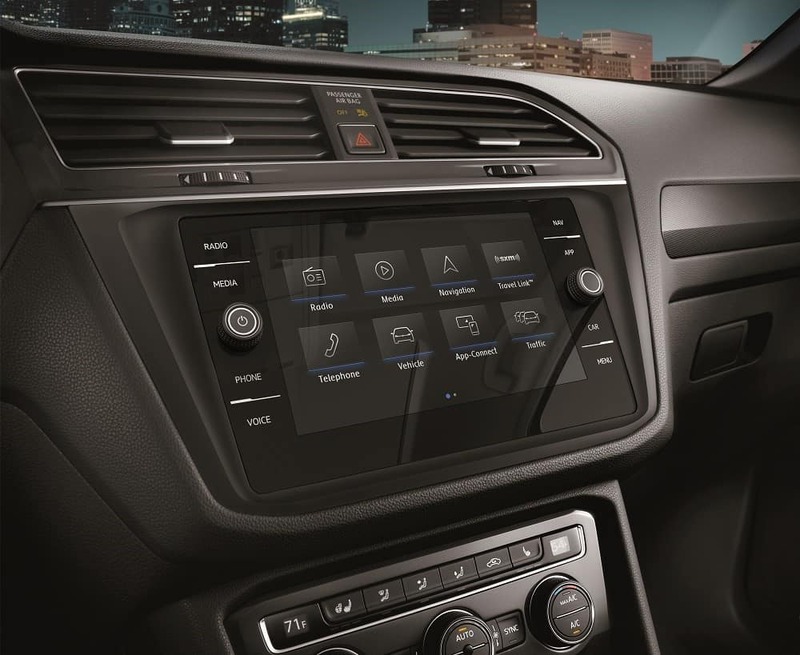 The used Volkswagen Tiguan also features a user-friendly infotainment system to make your drive more fun. In the center of the dashboard you’ll find either a 6.5- or 8-inch touchscreen display. This is the home of the VW Car-Net® App-Connect system. This Bluetooth®-compatible system allows you to sync your smartphone, stream music, and take hands-free calls. You can also access lots of your favorite smartphone apps through Apple CarPlay™, Android Auto™, and MirrorLink®. All these features will keep you entertained while the navigation system takes you on the best path. It’ll provide you with turn-by-turn directions and clear colorful maps on both the dashboard and your instrument cluster screen. Visit Toms River VW to test drive a stylish and dependable used Volkswagen Tiguan. It’s a great, affordable choice for drivers in Toms River, Brick, and Freehold to get behind the wheel of a safe, comfortable, and fun SUV. To learn more about this used Volkswagen Tiguan review, contact us or visit our dealership.